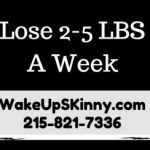 Our Philadelphia medical weight loss program is a totally comprehensive program where we use FDA approved weight loss pills, appetite suppressant medications (diet pills) to help people lose weight and improve their overall health and wellness. We use high quality appetite suppressant medications, vitamin injection Therapies and nutrition and the exercise plans to help you reach your target body weight with a plan that you are actually be able to follow the real world. If you would like more information on our weight loss program invite you call and schedule your free weight loss consultation. Call us at 215-821-7336 for a free weight loss consultation. In our weight loss program we have helped people lose anywhere from 20 pounds to 100 plus pounds. In fact, I just finished a consultation with one of our Superstar weight loss patients who has lost 110 pounds so far. 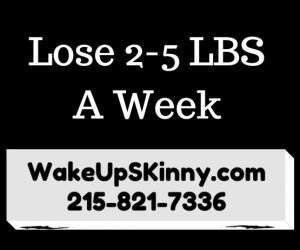 So if you would like to join our weight loss team call us at 215-821-7336 and schedule your free weight loss consultation. In this article I am giving you 4 smoothie recipes that really helped Erin lose her weight. They are the recipes for our Berry Nutty Smoothie, Green Apple Avocado Smoothie, Cocoa Berry Nutty Smoothie and our Pumpkin Berry Smoothie. I hope you enjoyed a smoothie recipes. If you, a friend or loved one would like to schedule your free weight loss consultation just call us at 215-821-7336. 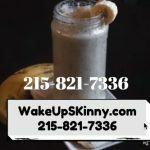 This entry was posted in Diet Doctors in Bucks County, Diet Doctors in Philadelphia, Medical Weight Loss, Medical Weight Loss in Philadelphia PA, Medical Weight Loss Philadelphia and tagged medical weight loss in philadelphia, philly diet doctors, weight loss in philadlephia, weight loss pills in philadelphia on March 15, 2017 by Dr. Michael Kenny. In our Philadelphia and Bucks County medical weight loss centers our goal is to help you lose weight and keep it off. And we do this by providing you with the finest FDA approved weight loss pills, diet pills, appetite suppressant medications, vitamin B-12 injections therapy and delicious meal plans that are designed to satisfy your cravings and help eliminate your hunger. And these meal plans taste good too. 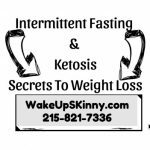 So, if you are looking to lose weight and keep it off, while still eating delicious food I invite you to call us and schedule your free medical weight loss consultation at our Philadelphia medical weight loss center or our Bucks County medical weight loss center. 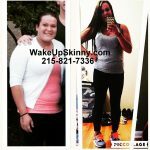 Call us now at 215-821-7336 and schedule your free weight loss consultation. If you are one of our weight loss patients you know that I believe that food is meant to be enjoyed. Growing up in my family everything that we did, every celebration every event was always celebrated with food, and lots of. In a sense, food was a celebration of life. And some of my happiest from childhood are of sitting together with my great-grandparents, grandparents, parents, my brother and sister, and uncles and cousins at my great-grandmothers dining room table where we feasted upon ravioli, lasagna, baked zitti, gnocchi and desserts like ricotta filled cannolis and cream puffs. Yes, you may have guessed, that I grew up in a large Italian family! And like most Italian families most interactions with one another took place at the kitchen table or dining room table enjoying good food and each other. That is why in our weight loss program we make a point of giving you lots of recipes of wholesome food that we all grew up eating but our versions of these recipes will have lower calories and lower carbohydrates. Making them weight loss friendly. But they taste so good you won’t believe there diet food. So here are two great recipes; one is for a low carbohydrate version of my grandmother’s rotolo and the other is for a low-carb recipe for lasagna that is quick and easy to make. This is a family recipe that my great-grandmother Virginia has handed down to my wife. My wife has changed the recipe a bit, to make it more diabetic friendly, but it tastes just as good if not better than Great[grandma’s recipe. Roasted or delimeat chicken breast that you can get from your supermarket – cut into strips that are 1.5 inches wide and 6 inches long. You should have about 24 slices of meat. some additional Parmesan cheese to serve over top when everything is finished cooking. First preheat your oven to 300°F. Combine all of the ingredients together except for the chicken breast tomato sauce and the extra 1/2 cup of shredded mozzarella and Parmesan cheese. Make sure that all of the ingredients are mixed nicely. Then take your strips of chicken and place them on your counter and take 1/3 cup of the mixture of all your ingredients in place it on to your strip of chicken. Then start rolling it up and place it with the seam side down. Do this with the rest of your chicken strips. After that take 1 cup of your tomato sauce and pour it into the bottom of a cast iron skillet approximately 12 inches or you can use any other type of ovenproof skillet or pan. Then take your chicken rolls and put them in the pan with them laying on their side. Take all of your roles of meat and place them in the pan so they fit very snugly. Make sure that your filling is facing upward. Next take the remaining 1 cup of tomato sauce and pour it over top. You can now put this in your oven and let it bake for approximately the 20 minutes or until the cheese is melted completely. When it is done take it out of the oven and you can now sprinkle your mozzarella generously over top. Place it back in the oven for about another 10 minutes or so or until the cheese is melted once again. After that take it out of the oven and let it stand for at least a good 15 minutes before serving. And of course you can top it with the extra Parmesan cheese if you would like. This recipe makes 12 servings each of them has about 386 calories, 61 grams of protein and 5 grams of carbohydrates. approximately three-quarter pound and you can use either oven roasted chicken breast from the deli counter – approximately 16 slices or you can use sliced oven roasted turkey from your deli counter. Make sure that the slices of meat are approximately 1/8 inch and you want to have 16 slices. As always first we have to preheat your oven. Preheat the oven to 325°F. Place your turkey on a large sheet of parchment paper. To make the filling take a large bowl and mix together the eggs ricotta cheese until their mixed nicely and then stir in the mozzarella cheese and the Parmesan cheese. After you have made the filling take about 1/4 cup of it and place it on top of one of your meat slices and spread it out evenly. Do this with the remaining slices of meat. Take about 3 slices of tomato and place them over top of your filling on each of the slices of meat. Next take some of your basil and place it on top of your tomatoes. After that rollup each slice of meat and place them, seam side down, a and a baking dish that is approximately 8 inches. When you have all of the strips of meat rolled up with the mixture tomato and basil inside and placed in your baking pans top each one of them with the marinara sauce. I like to use about 2 – 3 tablespoons of the sauce. Now we are finally ready to place it in the oven and bake it for about 25 minutes or so or until the cheese is melted. 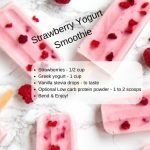 This recipe makes four servings each of them has 467 cal, 50 grams of protein and 9 g of carbohydrates. 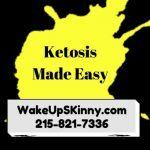 I truly do hope you enjoy these recipes and if you would like help losing weight I invite you to call us and schedule your free consultation. Call us at 215-821-7336 and schedule your free weight loss consultation now. This entry was posted in Diet Doctors in Philadelphia, Medical Weight Loss, Medical Weight Loss in Philadelphia PA, Medical Weight Loss Philadelphia, Weight Loss, weight loss philadelphia and tagged "Weight Loss Doctors in Philadelphia", diet pils in philadelphia, medical weight loss in philadelphia, Medical Weight Loss Philadelphia, phentermine in Philadelphia, weight loss pills in philadelphia on January 29, 2017 by Dr. Michael Kenny.